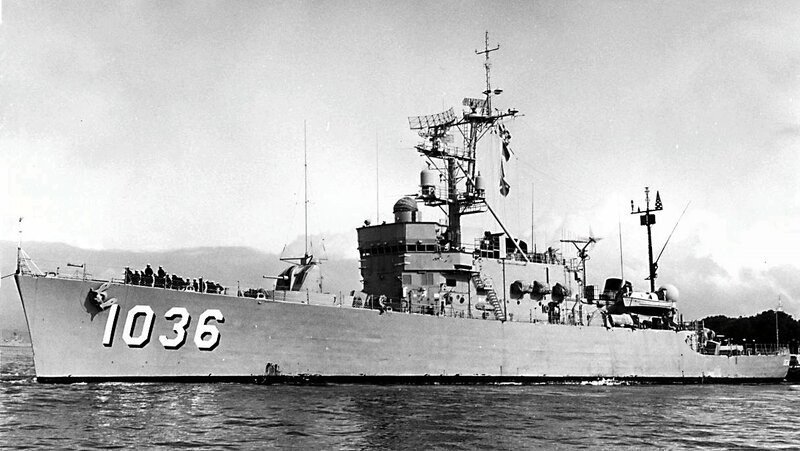 Tactical Voice Radio Call: "Gray Warrior"
05 November 1958: Keel laid at the American Shipbuilding Co., Lorain, Oh. 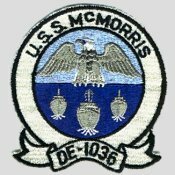 86k Charles Horatio McMorris was born on 31 August 1890 at Wetumpka AL and was appointed midshipman in 1908 and commissioned ensign in June 1912. 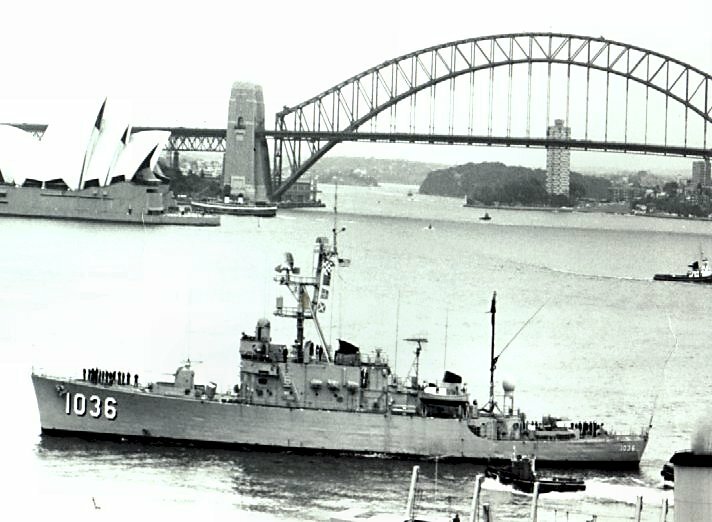 On 11 to 12 October 1942, as commanding officer of San Francisco, he took part in the Battle of Cape Esperance, which deflated the Japanese belief in their night fighting superiority. 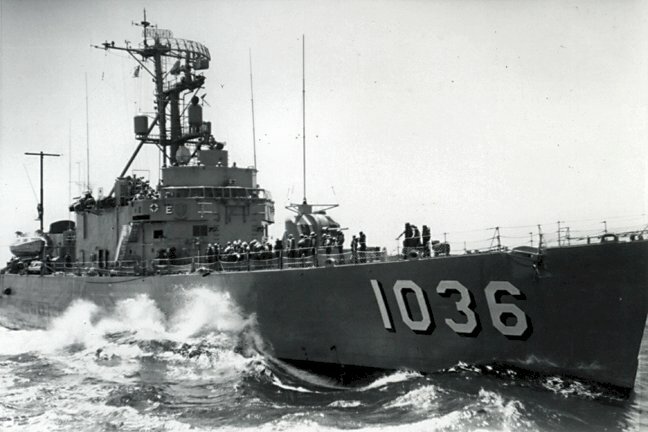 During the Battle, he "...fought his ship valiantly, maneuvering with the expertness of able seaman and striking at the enemy with determined and effective gunfire despite the difficulties of night combat. 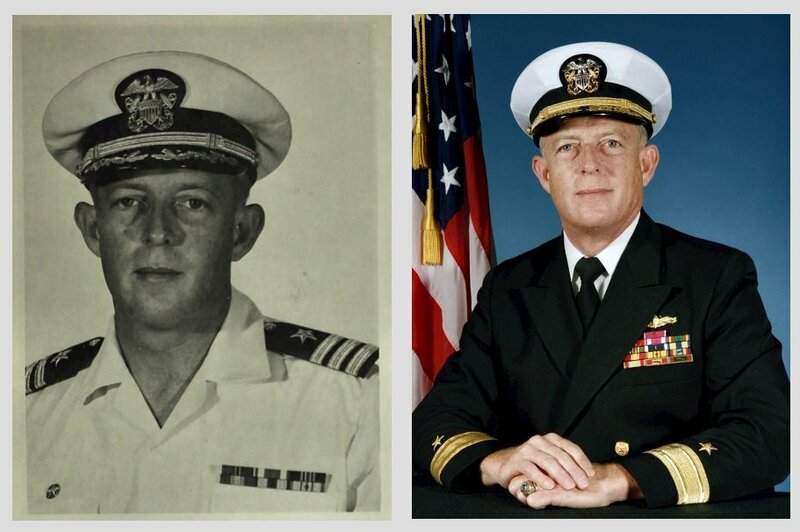 As captain of the flagship, he rendered valuable service to the Task Force [TF 64] Commander and contributed materially to the success of our forces." 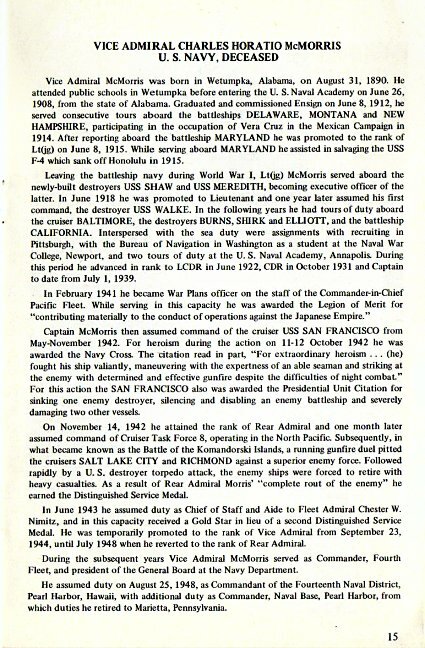 He was awarded the Navy Cross for the above cited actions. 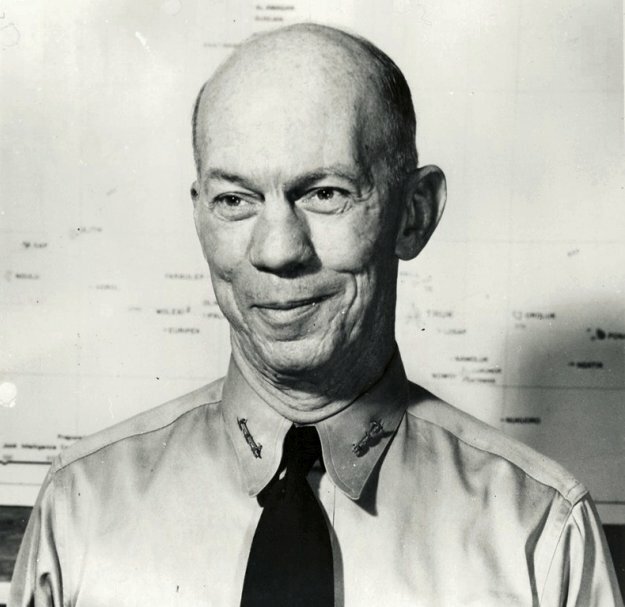 In December 1942, he assumed command of Crusier Destroyer Force 8, operating in the northern Pacific. On 26 March 1943, in the Battle of the Komandorski Islands, he used that force to prevent Japanese reinforcement of garrisons on Kiska and Attu. For his able handling of the force in the victory, he received the Distinguished Service Medal. 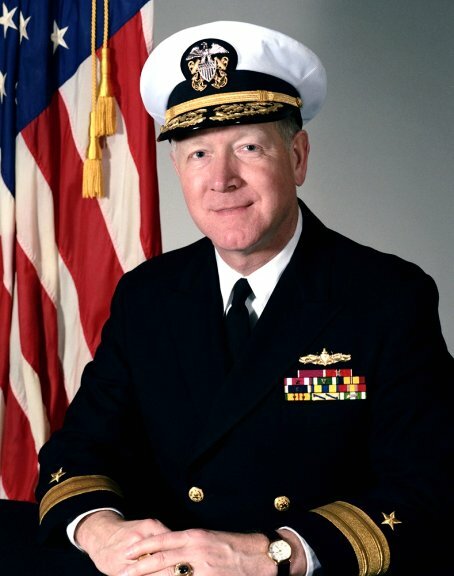 Later, as Chief of Staff of the Commander in Chief, U.S. Pacific Fleet and Pacific Ocean Areas, he was awarded a Gold Star in lieu of a second Distinguished Service Medal for supervising "...the preparation and execution of strategic and tactical plans for Naval Operations...in the Gilberts, Marshalls, Marianas, Western Caroline Islands, Iwo Jima, and Okinawa..." Retiring as a vice admiral on 1 September 1952, he died 11 February 1954 at Valparaiso, Chile. 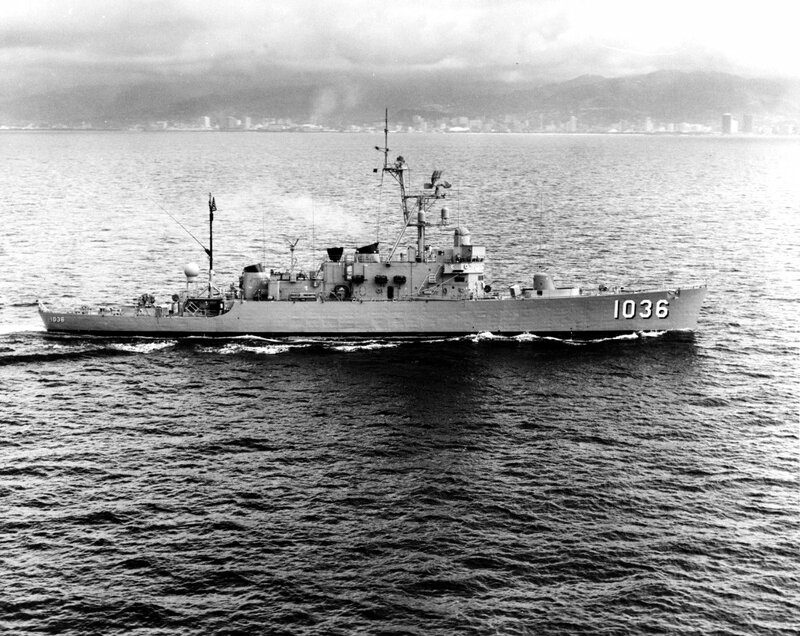 317k 10 March 1972: the Pacific Ocean - McMorris off the Oahu Coast. 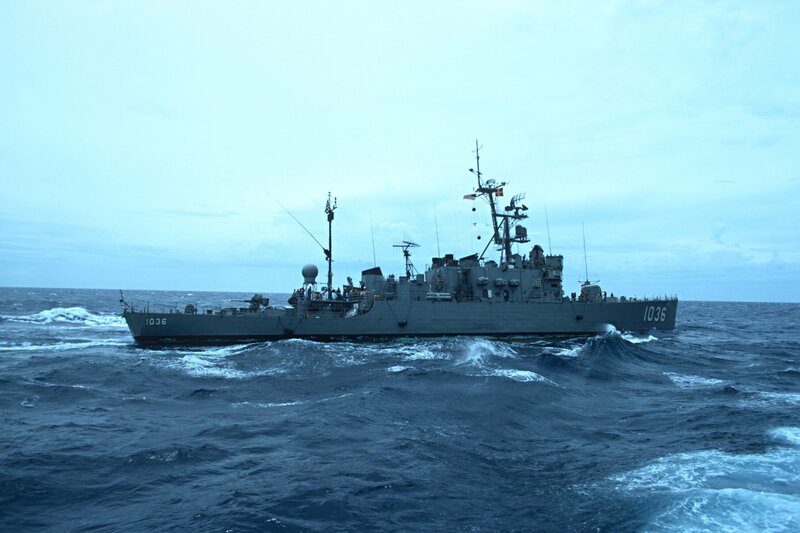 Note the "Spooky" electronics arrays fitted to this class of DE. 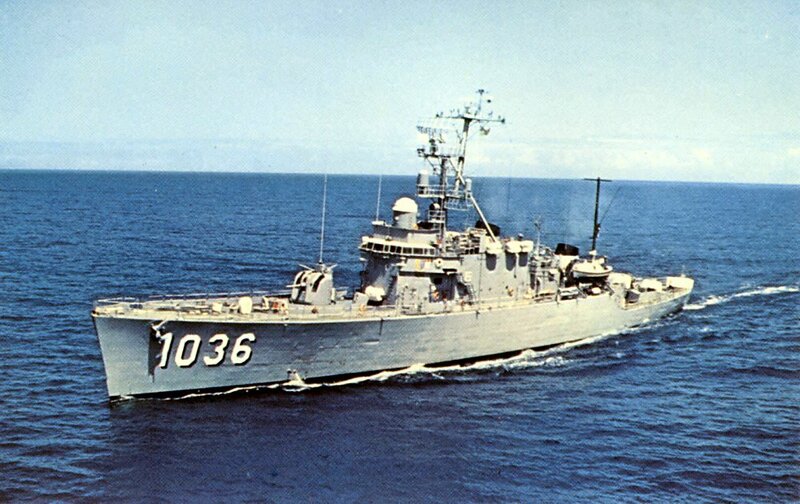 309k 10 July 1972: South China Sea - McMorris taken from USS Ashtabula (AO 51) after completing an underway replenishment. 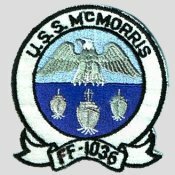 View the USS McMorris (DE 1036) DANFS history entry located on the Naval History and Heritage Command web site. date to be determined at San Diego, Cal. but... McMorris was never an FF. 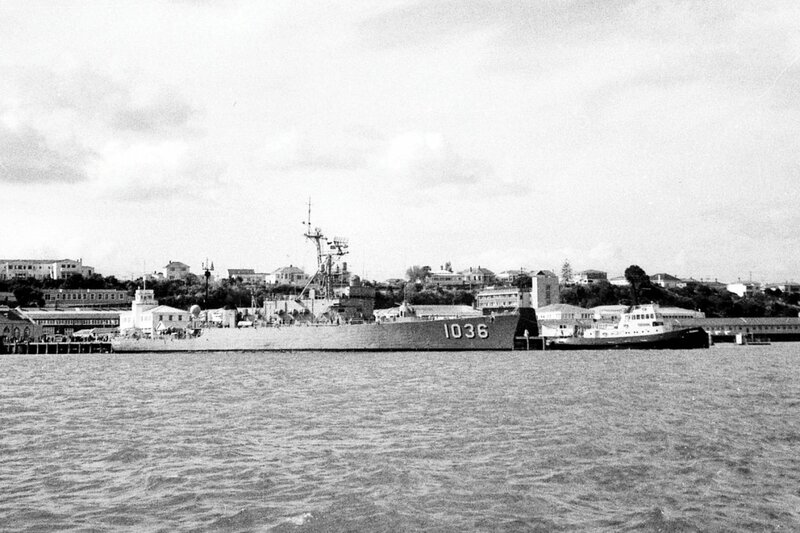 She was decommissioned in December 1974, and the DE reclassification took place in June of 1975. Can anyone offer an explanation?